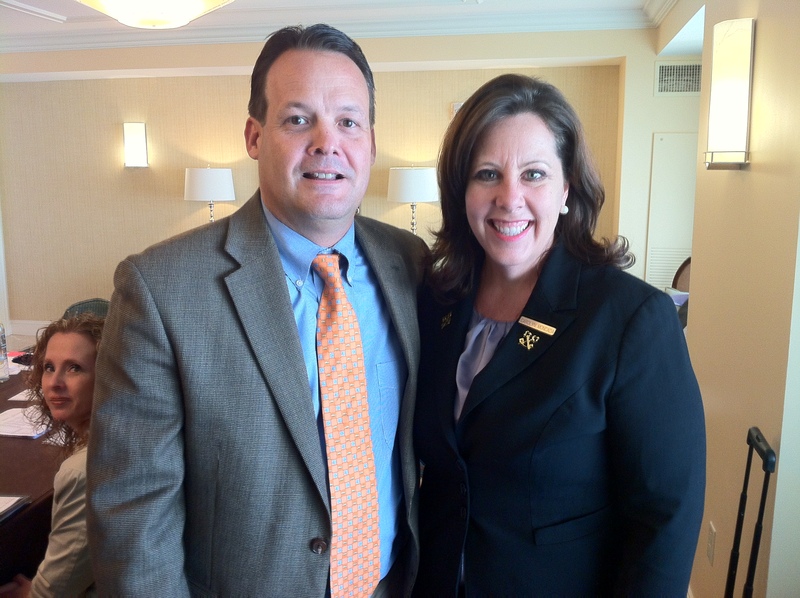 Waldorf Astoria Orlando General Manager John Carns presents Carolyn Moncada with her pins from Les Clefs d'Or, USA. We are proud to announce the induction of Carolyn Moncada, concierge at Waldorf Astoria Orlando, into Les Clefs d’Or USA. You can recognize Les Clefs d’Or concierges by the keys they display on the lapels of their uniforms. These crossed gold keys are more than just the symbol of the organization; they are the symbol of excellence and quality service. Les Clefs d’Or, pronounced “lay clay door,” is French and literally translates as “keys of gold.” Les Clefs d’Or USA is the only national organization of hotel lobby concierges.